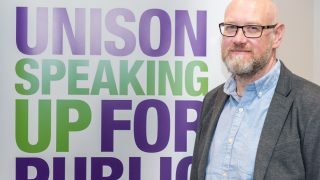 Commenting on the NHS Pay Review Body’s announced proposals on pay for 2016/17, UNISON Cymru/Wales head of health Dawn Bowden said: “It will be disappointing for NHS workers that the PRB has stuck to the artificial 1% pay freeze imposed by the Chancellor. “This continues to call into question the ‘independence’ of the PRB as an arbiter of NHS pay. Most health staff have lost thousands since 2010, including nurses who have lost more than £4,700 since then. “So this 1% pay rise still falls way below what health workers need and deserve after years of pay cuts and freezes”. “Having said that, against a background of continuing UK government cuts to Welsh government budget, we welcome the fact that the Welsh health minister has implemented the PRB recommendations in full and is continuing to pay the living wage which will benefit more than 7,000 staff in the Welsh NHS.